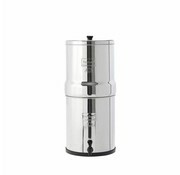 The mini Sawyer Water Filter SP128 is a water filter system that you can easily take anywhere with you. 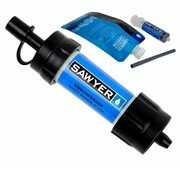 With the Sawyer mini water filter, you do not have to pump and do not have to add chemicals. 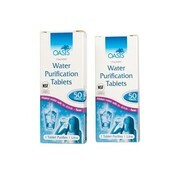 Oasis Purification Tablets are water disinfectants that can help you avoid dysentery, diarrhea, cholera and other water-borne diseases in scenarios where there is no clean source of water available. This Sawyer mini water filter is very compact, but filters through the 0.1-micron membrane and kills more than 99.9% of all bacteria and germs from the water. In addition, it is temporarily available this sparkling Digital woodland version! 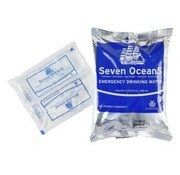 The Seven Oceans Drinkwater is compact and can be stored in a small space, it is flexible and has heavy-duty packaging. It also has a shelf life of 5 years which is perfect to pack in your emergency kit. Enjoy safe and clean drinking water wherever you go. 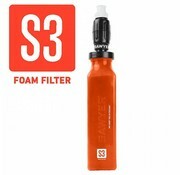 The new S3 filter from Sawyer is equipped with an open cell structure impregnated with active carbon. 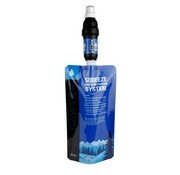 The Berkey Big Water Filter is the most sold water filter from Berkey. The piglet is perfect for a small to average family. With a maximum throughput of 26.5 liters per hour you are never without healthy and safe drinking water. The Berkey shower filter (including shower head) is easy to install and removes chlorine and other chemicals from the water. The Sawyer Point ZeroTWO filters up to 600 liters of water per day and is the fastest flowing filter from the Sawyer line. 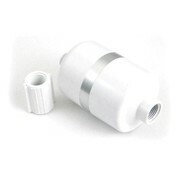 With the accessories supplied you can easily attach the filter to a bucket or to the tap.